These wonderful kadaif threads which shape the knafeh, one of the most beautiful and emblematic desserts of the Middle East, are also a symbolic link between two peoples and two cultures. Yoav Deckelbaum, Israeli, and Yehiye Qadari, who is an Arab, are in a bakery in the Arabic town of Qalansuah in Israel. Deckelbaum wants to learn the secrets of knafeh. Qadari generously conveys what he has learned and practiced since he was 16 years old. Finally, the former has built his own personal version. Yoav Deckelbaum was born in Montreal to parents of Jewish-Canadian origin, and immigrated with them to Israel when he was three. After the military service, he returned to Canada to study theatre, but once back in Israel he abandoned the stage to work as a baker in a renowned local bakery. 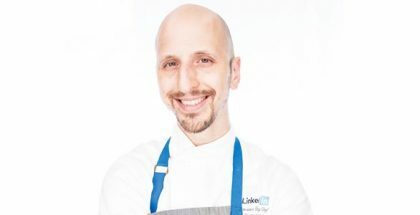 Yoav studied at Lenôtre in Paris, and a few years later continued learning at top-flight pastry-makers in Spain and France. 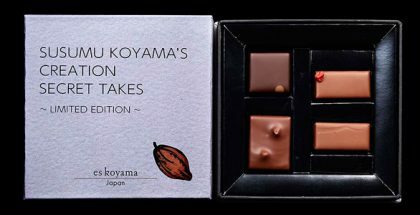 Ten years ago he launched the highly successful pastry shop which bears his name, specializing in distinctive desserts, cakes, and pastries. Yehiye Qadari (Abu Osman) was born in Nablus, an ancient city in Samaria that’s considered the Middle Eastern knafeh capital. 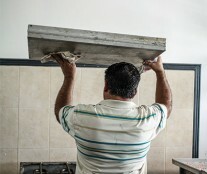 As a 16-year old, he started apprenticeship with bakers, moving over the years from one bakery to another in his home-town (‘in each one, I picked up another secret and technique for making knafeh’, he says with a grin). For the past two years, he’s worked as a salaried employee at Al Nur Sweets, an Israeli pastry-shop specializing in knafeh and baklawa made in traditional methods, and run under joint Arab-Jewish ownership, an unusual situation in Israel today. 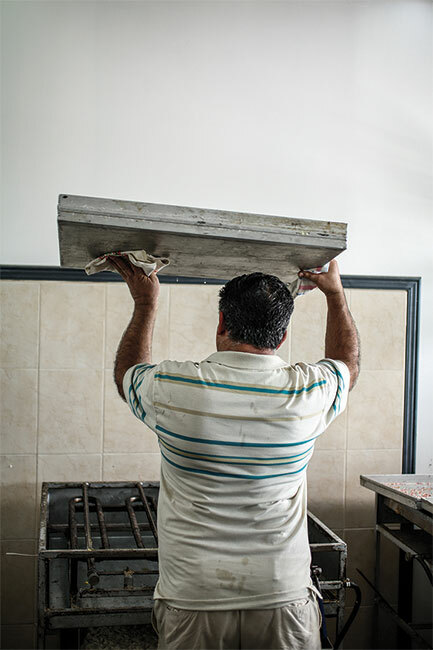 On the second floor of the bakery, in the Arab town of Qalansuah in Israel, the knafeh maestro starts his work. Beneath his skilled hands, the mounds of thin kadaif noodles and slivers of jibneh (a white semi-soft cheese, made with goat’s or cow’s milk) take shape as knafeh, one of the best loved desserts throughout the Middle East. 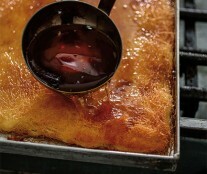 A metal tray of knafeh is placed over strong heat, then once it is cooked, the red-hot tray is removed from the fire and Qadari pours perfumed sugar syrup over the golden-brown surface. Every day, the master knafeh and baklawa baker prepares three types of fresh knafeh: the most familiar version, made of fragile thin noodles, with a range of synonyms: knafeh stanboulit (the Istanbul version) – also terms the ‘old’ or ‘hair’ knafeh because of its hair-fine noodles); knafeh na’ama (also called knafeh nabulsieh – from Nablus) made of soft white kadaif noodles that are not cooked, but toasted with samneh (clarified butter or vegetable oil) and a touch of turmeric, then finely ground and spread in a single layer on a baking tray; and knafeh boorma – rolls of noodles stuffed with jibneh and dyed a bright orange with food colouring. This morning, an awestruck fellow baker watches Qadari’s wizardry with the pastry, as he demonstrates how to prepare other versions of knafeh, popular in different countries in the Middle East but less familiar in Israel and the Palestinian Authority: spiral knafeh in the pretty shape of a snail; triangular dumplings of filled knafeh, called Yunani (the Arabic word for ‘Greek’); and ayish al saraya – a festive knafeh that honoured the table of the Turkish Sultan. Cakes which are fried or baked on a metal surface over a heat source are among the most ancient foods in history, with variations in almost every human culture and geographical region. Until the thirteenth century, the term kunafeh in Arabic and kadaif in Turkish referred to skillet cakes made from a flour and yeast batter, usually filled with nuts, rolled or folded into crescent shapes, and dipped in rosewater syrup. Descriptions of these spongy-surfaced pancakes appear already in One Thousand and One Nights and other books from the period. 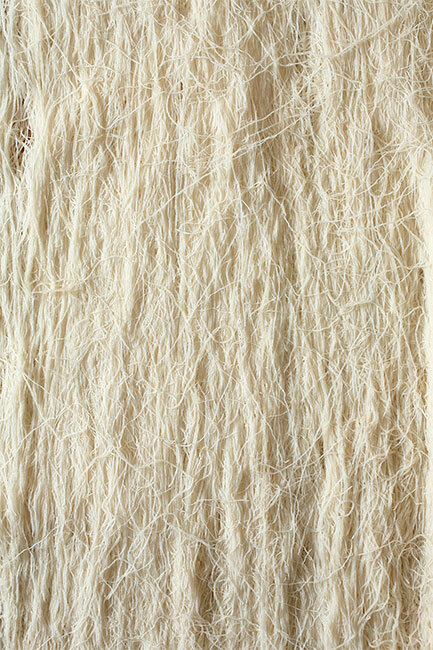 As in the past, people nowadays tend not to make them at home, preferring to buy them from expert artisans. (One of the most served sweetmeats during Ramadan is qatayef and it’s the present-day version of that tradition). A change in appellation occurred at some point in time, between the thirteenth and the sixteenth century – experts haven’t pinpointed exactly when. From that unknown date onwards, the same terms kunafeh and kadaif are used to describe fine strips of pastry – noodles – prepared with the same batter and used in cooking similar skillet cakes, over which perfumed syrup was poured, followed by a sprinkling of assorted nuts. The ladle used to pour the batter onto the heated cooking surface was replaced by a perforated ladle (some maintain that a coconut shell was used before that). In turn, it was replaced by special metal pans onto which the batter was poured, and finally by the modern equipment for making kadaif noodles. 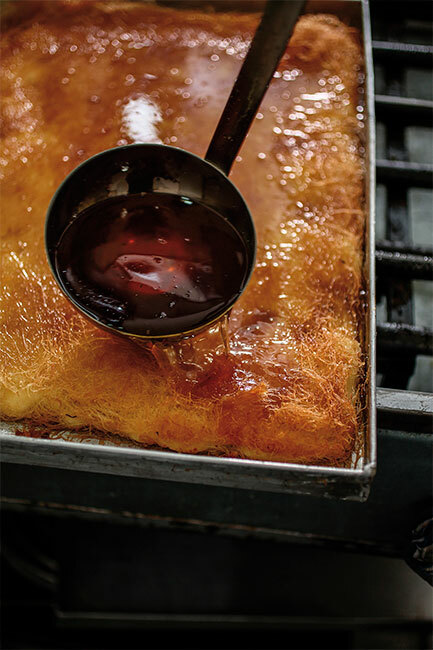 Mary Isin, the food scholar, explains the evolutionary triumph of noodles over pancakes in her book Sherbet and Spice: The Complete Story of Turkish Sweets and Desserts (I. 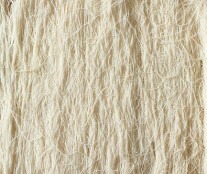 B. Tauris); she ascribes it to the unusual texture of noodles, and their versatility of use in a range of foods and sweetmeats. Cookery books and prose works document the historical development of kadaif-kunefeh in Syria, Istanbul, Andalusia and other regions around the Mediterranean Basin. Knafeh, as well as versions of baklawa created thanks to technological developments that enabled the production of very thin noodles, became inseparable parts of the kitchen of the Arab and Jewish communities living in those regions for centuries. The map of the modern world consists of nation-states, which – like religions – aspire to create kitchens that clearly define their citizens and differentiate them from their neighbours. But before contemporary borders were drawn, raw ingredients and foods wandered, like knafeh, from place to place, from one culture to another. In the fragile coexistence between different ethnic groups and nations in the Middle East and the Balkans, knafeh has frequently been a unifying factor that leads to rapprochement (everybody eats and everyone loves knafeh), and just as frequently has symbolized discord and struggle. Observing Qadari’s work was the starting-point for the series of contemporary desserts that Deckelbaum invented. All are inspired by traditional baked goods like knafeh, mahalabiya (a creamy pudding thickened with starch and served with rose water syrup), and liali Beirut (the literal translation of ‘Beirut nights’) – a dessert with a base of semolina or kadaif noodles topped with malabi cream). 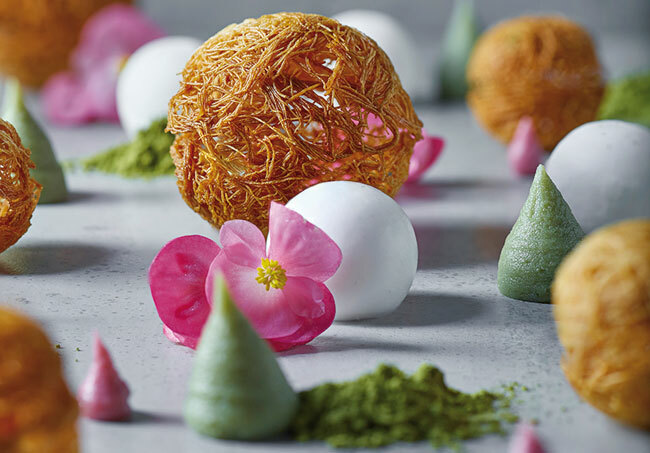 The modern desserts were created by deconstructing the components of their ancient predecessors (orange blossom water, for example, is reflected in candied orange peel, and orange peel macerated in a sugar syrup, and so on), then reconstructing them in an innovative, delightful assortment of shapes and textures.